You remember the cool promotional videos (in Russian) on the All-Russian Open Programming CROC 2013 Championship, right? This time CROC amazed us and sent us an after-the-championship video. Someone here might find him/herself in the video and someone just might be interested to see the way it was. Besides, there is a complete photo archive. In conclusion, I am glad to use this opportunity to describe my excitement at the way CROC works, their attitude towards the event, their professionalism and the achieved work! It was fun and easy to work together :) Our special gratitude goes to Sergey Strelkov, Georgy Mogelashvili and Maria Dovzhenko. Last Friday, on May 17, CROC finishes the All-Russian Open Programming Championship. The CROC company (together with Codeforces) holds a competition for the best coders of our country for the second year in a row. Informational technologies are a dynamic habitat where the best minds dwell and sometimes innovative ideas come up at a great speed! This time the organizers stated that the championship is all-Russian but they were surprised to see the championship interest extending beyond the national border. The interest towards the competition was such that we had many participants from Russia, former Sovyet republics and even far away countries. On this championship, coders solve sports programming problems: to win, they need to come up with effective algorithms, code them quickly, consider all non-typical situations. Besides, there is the additional element of looking for mistakes in other participants' codes and suggest the tests that fail their rivals' codes. The special feature of the contest is the "Code Game Challenge" play round, for which we singled out a special day., — says Sergey Strelkov, the head of the CROC company software development department. It's the second time I've taken part in the CROC championship. There are few such championships in Russia – you can count the companies that support spots programming like that on the fingers of one hand. The CROC Championship took part in several stages: it started at the qualification round on April, 13 the internet elimination rounds took place on April, 15 and 22 and finally, the Championship Finals took place in the CROC Moscow office on May, 16 and 17. --- The participants had to implement strategies for hockey teams with a goalkeeper and two players. They had quite little time to write a code that coordinates the players and then compete with other teams. It was interesting and it was fun! — says one of the finalists. It was a challenging competition with challenging problems and challenging participants. That's what makes it interesting for the participants and I guess, for the spectators, too. Besides, Gennady noted that the CROC Championship for young programmers is a great opportunity to compete with the best young programmers and communicate with people from other cities and even countries. Most of all, this provides the personal growth perspective as well as rising interest to sports programming in Russia. We remind you that the winner was awarded with 100 000 rubles. 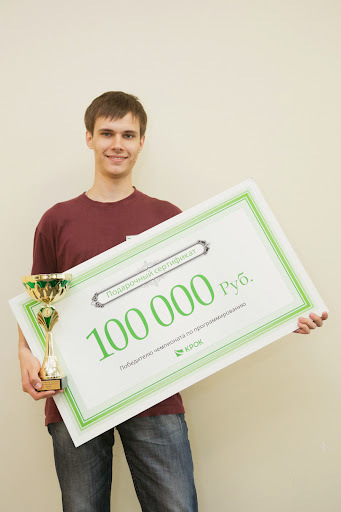 Egor Kulikov and Evgeny Kapun, the participants who got the second and third prizes, won 70 000 and 50 000 rubles, correspondingly. The full results are available by this link. The 2013 Open All-Russia CROC Championship is over. We congratulate the winners but we do not say bye! Look out for the CROC IT news to be among the best. And win! Actually me and MaximShipko have arrived yesterday. During this time we, together with CROC staff, had setup 40 computers in the classroom (so it is pity that most of you will use own laptops), installed Code Game Challenge infrastructure and ready to meet the participants. Soon it will be [contest:307]. Do not worry it some of the website features will be disable, our main goal is to make onsite-event. Note that today the participants will take part in unofficial entertaining AI-programming contest. I'll greet all the participants personally, and now I'm sending rays of sadness to the participants, who will not be able to participate today because of the curriculum. Soon is coming Round 1 of the All-Russian Programming Championship CROC-2013. Contestants who gain a score equal to the 400-th place finisher score or greater will advance to the Round 2 (also you need to gain positive score). Round will be held by usual Codeforces rules (with hacks and decreasing values of the problems). During the round the problems are judged only on pretests and system testing will take place after the end of the contest. The pretests do not cover all possible cases of input data, test your programs carefully. Before the end of the round it is strictly forbidden to publish the problem statements/solutions/any thoughts and ideas about them elsewhere. It is forbidden to talk about the problems, discuss the statements, solutions and so on. The problems were prepared by the group of authors: Pavel Kholkin (HolkinPV), Gerald Agapov (Gerald) and Michael Mirzayanov (MikeMirzayanov). I will add that our team have already prepared for you qualification round and answered the questions during the whole competition. Traditionally thanks to Mary Belova (Delinur) for translating the problems. UPD1: The problems are sorted by increasing of estimated difficulty. The score dustribution is decided to be not standard a little bit : 1000, 1000, 1500, 2000, 2500. UPD2: due to the large number of participants, it is decided that it will not be able to participate out the competition. For official contest participants the round will be rated. We wish all the participants good luck and successful advance to the next round of competition. Let me remind you that on the 12th of April, at 20:00 the Qualification Round of the All-Russian Programming Championship CROC-2013 will start. You need to participate in the Qualification Round to make it to Round 1. Contestants who gain a score equal to the 2000-th place finisher score or greater will advance to the Round 1 (also you need to gain positive score). At the Qualification Round you will find a few problems, roughly ordered by the increasing complexity. During the Qualification Round the problems are judged only on pretests and system testing will take place after the end of the Qualification Round (round continues for 48 hours). The pretests do not cover all possible cases of input data, test your programs carefully! The Qualification Round has no hacks or decreasing values of the problems. The round will last for 48 hours, but it does not mean that we encourage you to spend all this time solving of problems. 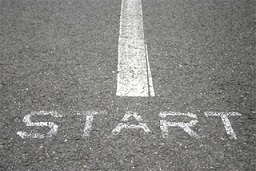 We hope that most participants will cope with the problems (or with most problems) in a shorter period of time. This duration of the round is chosen so that each participant could find a convenient time to participate. You can register for the round at any time up to its end. P.S. You can't take part here unofficially. You may register to the Championship here. The working language of the Championship is Russian, but all the problems will be in English too. Most agile participants have registered before we implemented validation rules around Championship registration. So some registrations will be canceled. Sorry for it — you may register to the Champ and register for round after it. UPD: Testing is completed. Unofficially qualification cut-off is 950. Participants with at least 950 points advance to Round 1. It can be changed because of cheaters disqualifications. CROC announces start of All-Russian Programming Championship CROC-2013! Due to many requests we decided to expand the Championship the target audience, inviting to participate not only the Russians. According to the updated rules, we invite to take part (like last year), everyone! However, please note that all finalists should to confirm invitation until May 2. We are growing and spreading! All-Russian Programming Championship CROC-2013 is followed after the Open Moscow Championship and the Championship for the Bauman MSTU Students. The CROC company, with the help of Codeforces and Saratov State U, sets up a competition for the top talented programmers of the country. If you are a university student or a young specialist over 18 (and the citizen of Russian Federation), we invite you to participate. The first prize in the Championship is 100000 rubles, the second prize is 70000 rubles and the third prize is 50000 rubles. The rules will be explained in more detail a little later, but no surprises are planned. We will try to involve the "out of competition participants" (that is, those who can't officially participate in the Championship) as much as possible. Some pleasant surprise awaits for the participants in the dream office and outside it! The CROC company pays for the accommodation in Moscow during the finals. Also for Russian citizens the travel expenses around Russia will be covered (* The transport expenses outside Russia can be covered possibly partially but you need to contact us and clarify it for each particular case). The official event language is Russian, the problems will be in Russian and English. To participate in the championship, you need to register on the championship page, website crocok.ru. The registration will be available until the qualification is completed. Compete with the best coders on an Open Programming Championship! By submitting the registration form, you acknowledge that you are 18. P.S. Soon we will update the registration form on CROC to remove confirmation about Russian citizenship. Server time: Apr/22/2019 20:19:47 (e1).